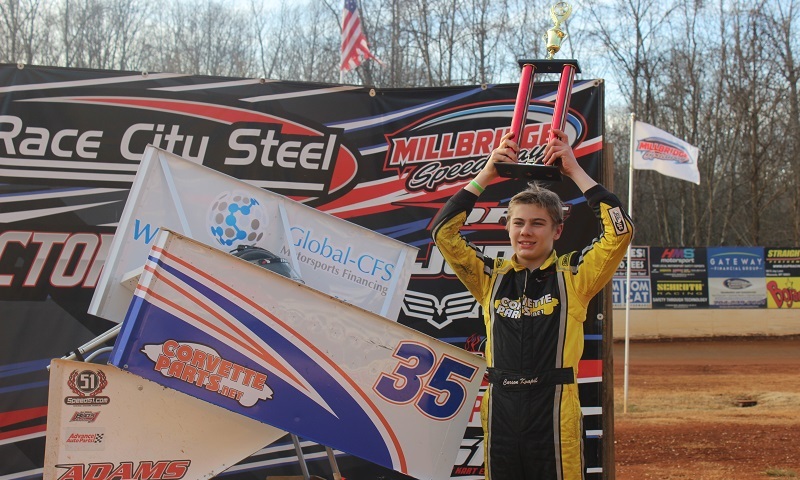 Carson Kvapil was offered a bigger payday to drop to the rear of Wednesday’s season finale at Millbridge Speedway, but the 14-year-old had bigger goals in mind. 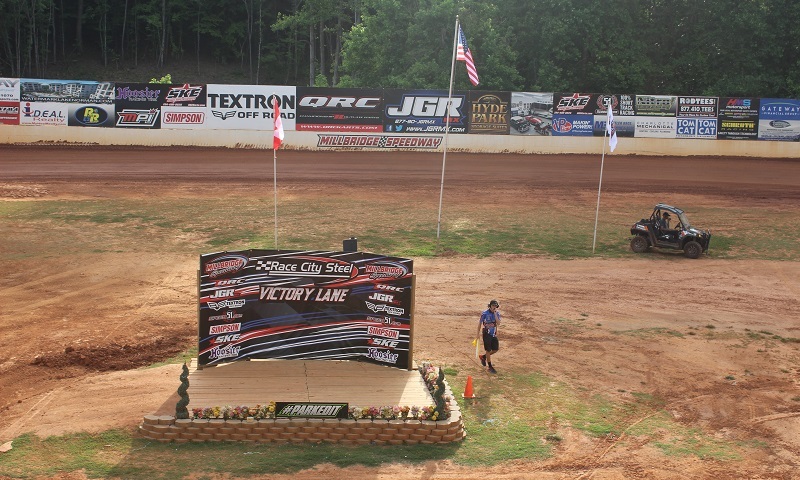 Click for LIVE updates from the seventeenth and final week of Wild Wednesday Series racing from Millbridge Speedway, featuring the always crazy winged mini outlaw karts! 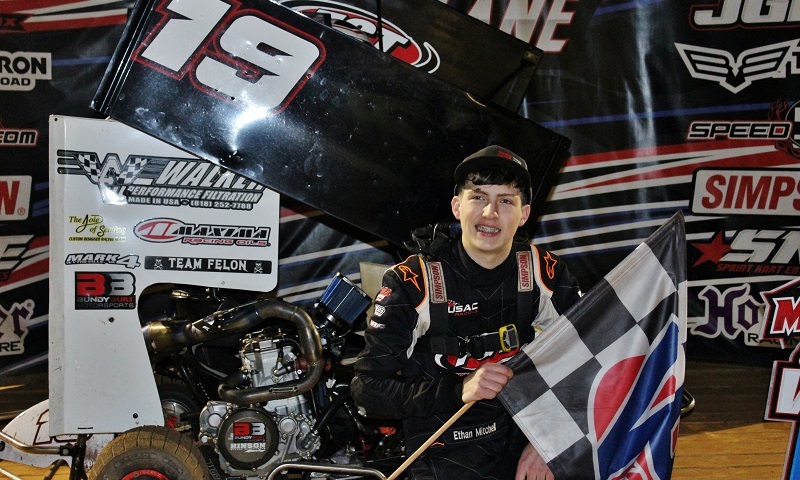 It took more than a year, but 15-year-old Ethan Mitchell finally found his way back to Race City Steel Victory Lane on Wednesday night at Millbridge Speedway. Click for LIVE updates from the sixteenth and penultimate week of Wild Wednesday Series racing from Millbridge Speedway, featuring the always crazy winged mini outlaw karts! 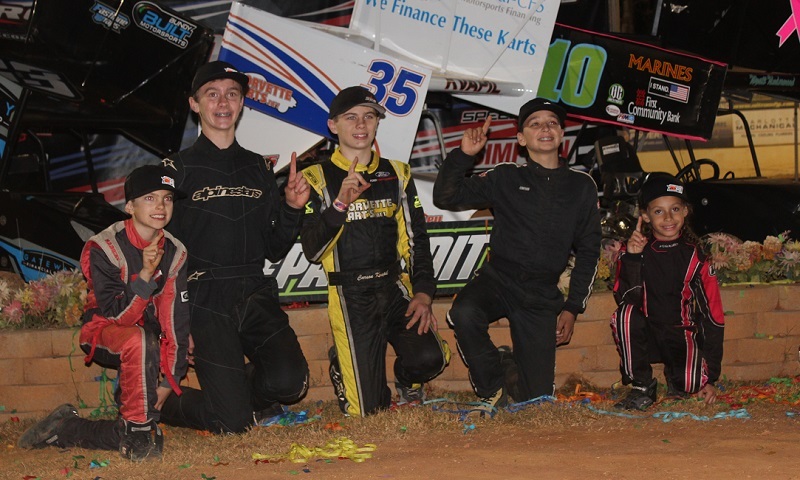 Click for LIVE updates from the $500-to-win Ironman 50 for winged mini outlaw karts, part of the fifteenth week of Wild Wednesday Series racing from Millbridge Speedway! Click for LIVE updates from the fourteenth week of Wild Wednesday Series racing from Millbridge Speedway, featuring the always crazy winged mini outlaw karts! 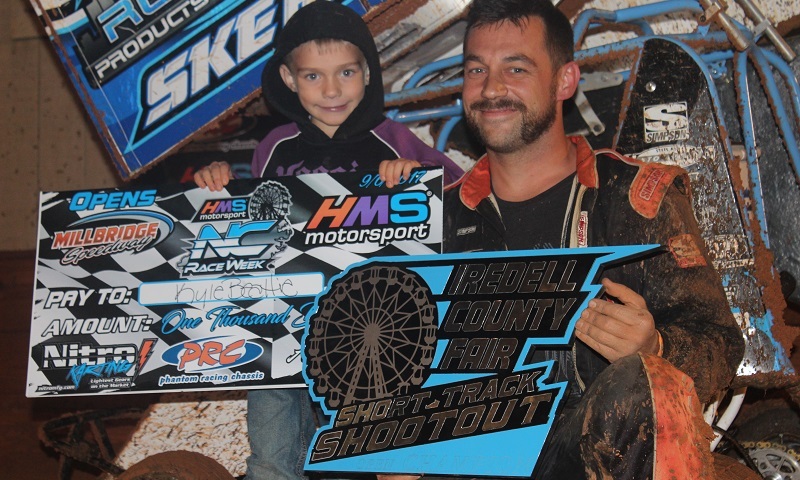 Kyle Beattie took home a $1,000 check for winning the finale of the Short Track Showdown Wednesday night, after weathering a two-hour rain delay and then topping a torrid battle with long-time friend Adam Welch at the Iredell County Fairgrounds. Click for LIVE updates from the thirteenth week of Wild Wednesday Series racing from Millbridge Speedway, featuring the always crazy winged mini outlaw karts! Click for LIVE updates from the twelfth week of Wild Wednesday Series racing from Millbridge Speedway, featuring the always crazy winged mini outlaw karts! Click for LIVE updates from the eleventh week of Wild Wednesday Series racing from Millbridge Speedway, featuring the always crazy winged mini outlaw karts! Click for LIVE updates from the tenth week of Wild Wednesday Series racing from Millbridge Speedway, featuring the always crazy winged mini outlaw karts!